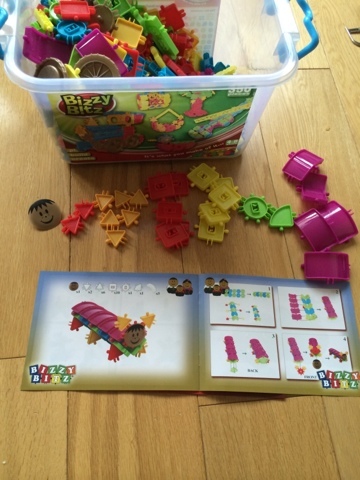 I was recently introduced to Bizzy Bitz and I was intrigued to find out more, I do love construction toys, anything that helps build fine motor skills and fires creative minds is great for children. 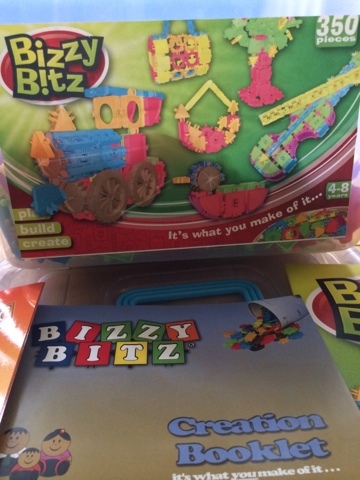 Bizzy Bitz are a UK brand. I received a box of 350 pieces to try out, they come in a handy plastic storage box. 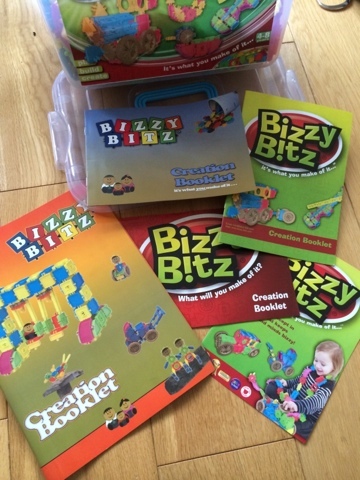 Bizzy Bits come in a useful storage box and plenty of inspirational ideas. The box contained a good assortment of creation booklets to refer to for building ideas. There is such a large variety of shapes, sizes and colours to use, all clip together with a nook and nobble, really simple to clip together and take apart. There are so many options you can build 2d or 3d constructions. 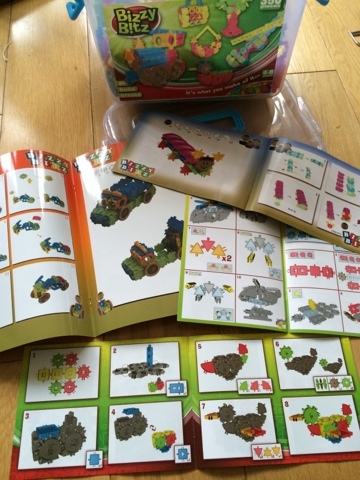 The instructions for creations are all really simple, it starts by telling you exactly which parts you need, they are broken down into easy steps and clearly show you what part goes where. 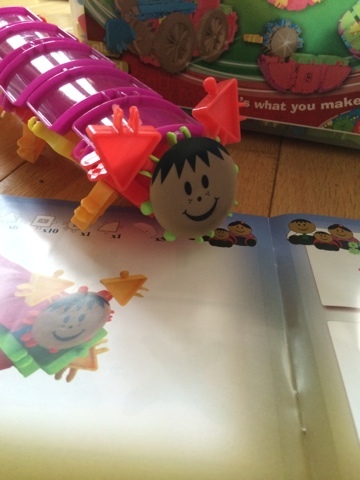 We decided to have a go at making a caterpillar, we deviated slightly just to see what would happen if we used different colours to the suggestions. Although we followed the steps, it soon became intuitive to create our build. Here is our completed caterpillar! 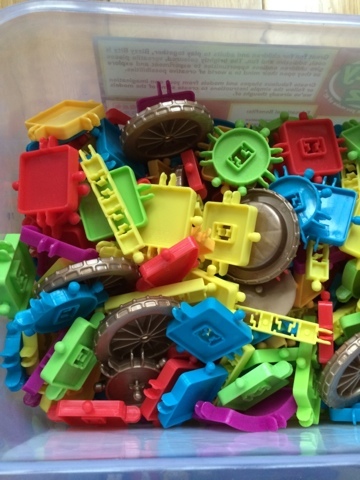 Disclaimer: We received Bizzy Bitz for the purpose of this article.